Filtering, for example, rain, drain and rinse water on a greenhouse horticulture business has become increasingly important. Due to a good selection and operation of the filter, the maximum effectiveness and the minimum emission are sought. The result depends on the technique we like to think along with you; from simple UV disinfecters to fully automated double multimedia filter with automatic flushing (see photo). 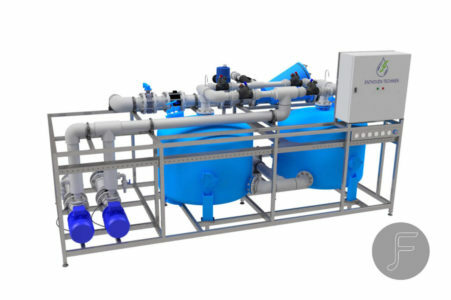 Enthoven Techniek can deliver a pulsating filter system for every situation based on standard materials or customization. The Fortuna filter unit can also be used as pre-filtration for a high-pressure mist system.